The answer to this question is a lot more complicated than it looks. 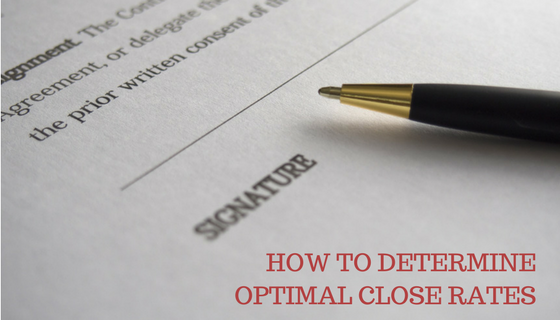 There are many factors that impact the percent of leads that should be closed by sales. This blog will take you through five factors that impact lead close rate and a calculation you can use to determine the minimum close rates your product or solution requires. Market definition: We once did work for a company that had two different views of the market. Sales was focused on $1 million opportunities in big companies. Marketing focused on $10,000 deals in small-to-medium sized companies. The fact that one competitor with a book value of $10 billion sold “point solutions” that ranged from $10,000 to $50,000 strongly indicated that the market was open to smaller point solutions and not elephant-hunter deals. I am still friends with the then SVP of Sales of this client and I still kid him that he had more sales executives on his team than there were seven-figure deals in the market he was targeting. After blowing through $1 million in sales and marketing expense our client was sold at an auction—ultimately to the competitor with the huge valuation. Over and over we find that clients and prospects want to do aspirational prospecting (prospecting into larger deals than historically have been targeted and won) or prospect too broadly. This is why account-based marketing processes are so important. The first principal in #ABM is to focus the organization on a single, tightly defined market. To the extent everyone in the organization is focused on the same targets, the close rate will be greater than if the organization has a diffused focus. Lead definition: A client in marketing told us that they had delivered 9,000 leads to sales the previous year. The SVP of Sales said they received ZERO leads from marketing the previous year. He asked us to examine the gap. As it turned out, marketing bought leads from a content aggregator for $23.15 per so-called lead. The qualified lead rate was .8%. No way sales executives were going to go through 100 unfiltered, unqualified suspects to find less than one qualified lead. Unfortunately, this is all too common. Marketing has a lead quantity and lead cost goal without regard to the effectiveness of the effort (i.e. were the leads qualified and did they close). Lead cost: To complete the story referenced above, the 9,000 suspects were acquired (for a total cost of $208,350, at $23.15 each) and ignored by sales. The close rate—ZERO PERCENT. When we went back to marketing to share our results, they said: “Those are too important a source of leads for us but we can’t afford to have you pre-qualify them—so we just send them directly to sales.” Far as I know they still are sending “raw” leads, and they are still being ignored. 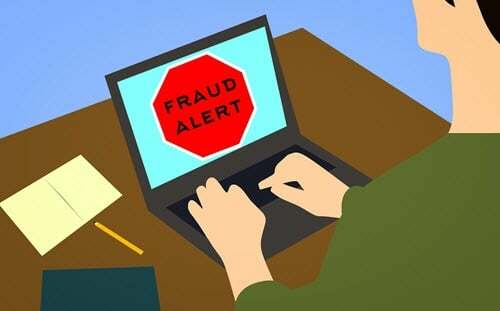 Process for following up on leads: The prospect experience can be compromised on the front-end (by pushy appointment setters, by inexperienced junior telemarketers reading from a script or by generic messages shell-shocking them from a spam cannon). It can also be compromised on the back-end (by light, ineffective follow-up, or no follow-up at all). This blog explains what a lead is and how to follow-up. Establishing the right prospect experience substantially increases close rates. There is a lot of talk today about the customer’s experience … but don’t forget the importance of your prospect’s experience. Lead nurturing: This blog shows you how to triple the return on any marketing and sales investment. Effective nurturing of leads increases the number of prospects worked and increases the close rate by three times. Note the graphic below that shows the perception of sales as to the life of a lead vs. the reality: Sales often believes that a lead will close early in the cycle or not at all. In truth, leads can close throughout a lead lifetime, and, with proper nurturing, do. Analysts attempt to provide formulas for companies to follow regarding close rates for average companies (20%) vs. close rates for best-in-class companies (around 30%). In my opinion, this approach is too simplistic, and doesn’t account for variety of variables such as deal size, margins and lead rate. Based on 30 years’ experience doing what we do here at PointClear, a lead generation, qualification and nurturing firm, the close rate for each product or solution at each company will be very different depending on the five factors herein—and the quality of the sales executives and sales management and internal communication. On one hand, many executives will feel that Example 1 would be risky to invest in because a 35% close rate is aggressive. On the other extreme, many would also be surprised that the break-even close rate on Example 3 is so low. But in fact, Example 3 is a brighter scenario than first meets the eye. Assuming you have annual maintenance, are selling a SaaS solution and/or consumables are part of your selling proposition (i.e. there is a recurring revenue involved) you might even be willing to invest with even less than an 11% close rate. Then we talk about scenarios. Then we talk about risks. Then we talk about the metrics necessary to ensure success. Finally, we talk about how important it is for senior executives to understand close rates and to stay involved in the factors and formulas outlined in this blog.